The vehicle lineups of the Big 3 American automakers — Fiat Chrysler Automobiles (FCA), Ford, General Motors —are in transition from sedans to SUVs and light trucks and from standard gasoline engines to hybrids and electrics. In the law enforcement market, only FCA Dodge is still marketing a standard gasoline engine sedan. 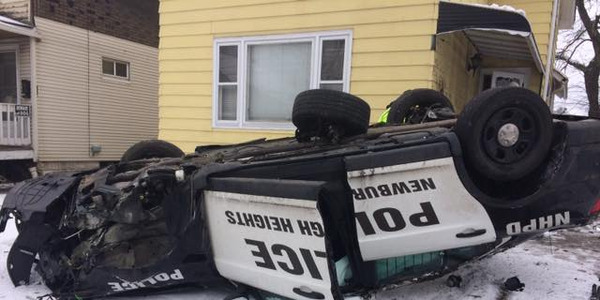 SUVs now rule the patrol vehicle market. Here's a look at what your agency may be adding to its fleet this year. 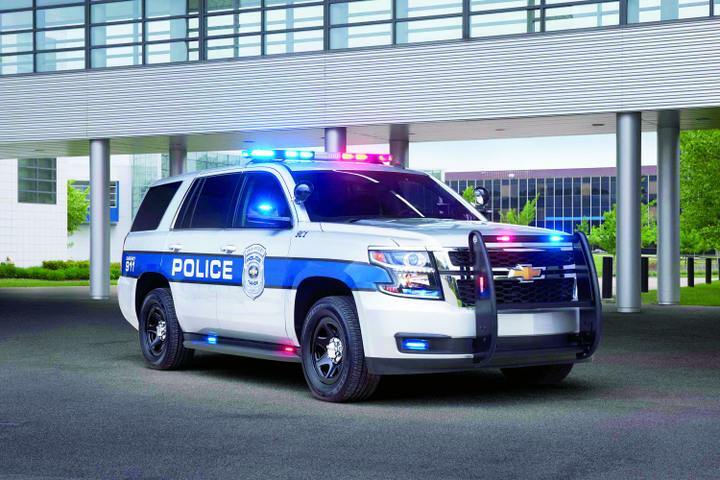 For Chevy's law enforcement division, it's all about the Tahoe Pursuit. 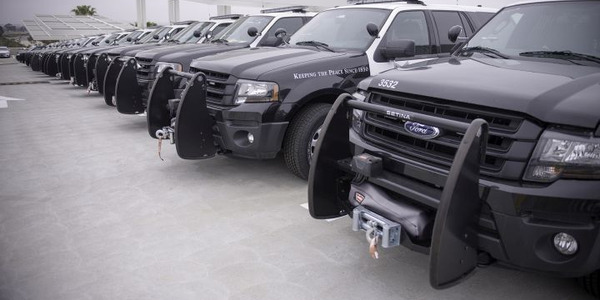 The 2019 Tahoe Police Pursuit Vehicle (PPV) comes in two versions, rear-wheel drive and four-wheel drive. Both versions of the Tahoe PPV are powered by a 5.3L V-8. The RWD version hit a top speed of 134 mph at the Michigan State Police evaluations last fall. The 4WD model clocked in at 121 mph. Starting with the 2018 Model Year, Chevy offered an optional Enhanced Driver Alert Package with its Tahoe PPV that includes automatic braking, collision alert, lane keep assist with lane departure warning, and Safety Alert Driver Seat. These options remain available for the 2019 model-year. 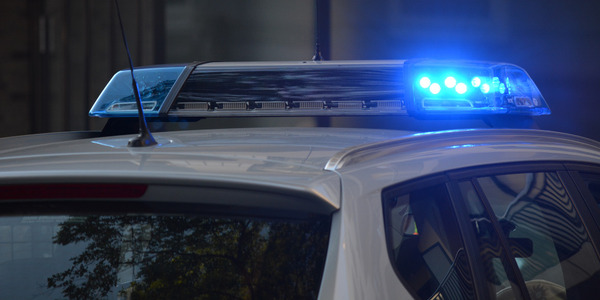 Dana Hammer, Chevy's product and marketing manager for law enforcement vehicles, said last year in a POLICE article ("The Next Generation of Patrol Vehicles,") that fleet managers are demanding safety features that can prevent minor accidents. They are reporting "many low speed forward accidents," he explained. Hammer said he realizes officers are not going to want to surrender any control of the vehicles they drive and he emphasizes that Chevy's new safety features can be easily overridden by the driver. "If you are actively steering and braking, you are in control," he said. Chevy also knows there are times when officers need to collide with another vehicle such as in a PIT maneuver. "If you are accelerating or braking, then the active braking will not engage," Hammer said. The safety options on the Tahoe PPV are nominally priced. Hammer said last year that Chevy intentionally kept the safety package affordable to make it available to more officers. The big news from Dodge for 2019 is the first full model-year of the Durango. Dodge entered the pursuit-rated SUV market midway through last year with the 2018 model. One big change between the 2018 Durango Pursuit and the 2019 models is that buyers now have a choice of engines. The 2018 was released with one engine, the 5.7L V-8 HEMI. The 2019 is available with the HEMI or with a 3.6L Pentastar V-6. Dodge said the 5.7L HEMI generates a "best in class" 360 hp and 390 lb.-ft. of torque. The 3.6L Pentastar is rated at 293 hp and 260 lb.-ft. of torque. 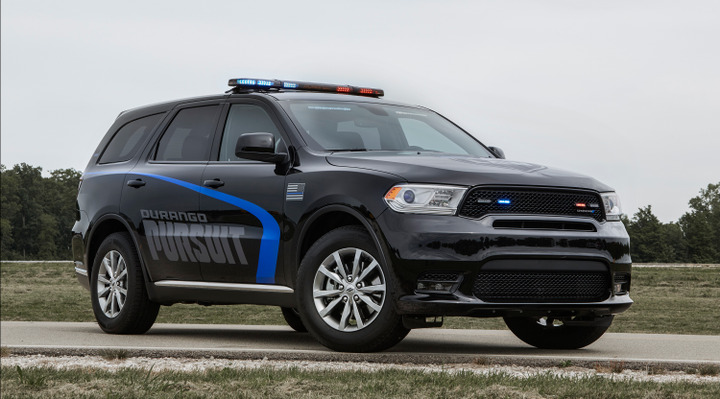 At last fall's Michigan State Police testing the V-8 HEMI version of the Durango Pursuit achieved a top speed of 118 mph. Its acceleration was equally impressive reaching 0 to 60 mph in 7 seconds and 0 to 100 mph in 18.3 seconds. In addition to the Durango Pursuit, Dodge is offering three pursuit-rated Chargers for 2019, the 3.6L RWD, the 5.7L RWD, and the 5.7L AWD. 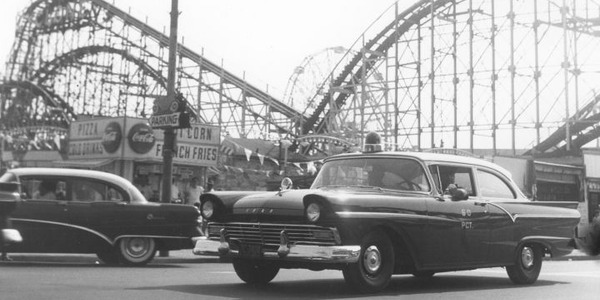 Since 2017 Ford has been marketing some of the most innovative vehicles in the history of law enforcement, including the first pursuit-rated hybrid sedan (the Police Responder), the first pursuit-rated hybrid SUV (the 2020 Police Interceptor Utility hybrid), and the first pursuit-rated pickup truck (the F-150 Police Responder). 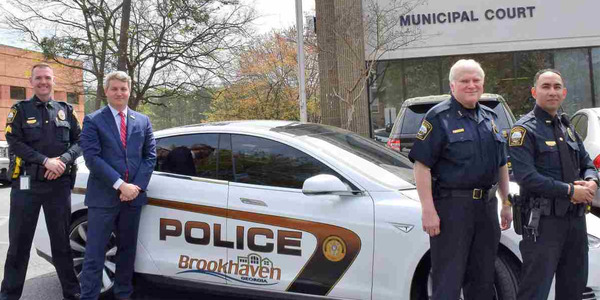 For 2019, the big news is the 2020 Police Interceptor Utility hybrid. 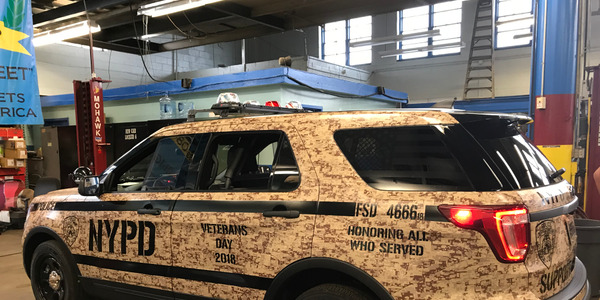 At last fall's 2019 Michigan State Police test, the 2020 PI Utility hybrid exhibited blistering speed for an SUV. It topped out at 137 mph, accelerated from 0-60 mph in 7.3 seconds, and from 0-100 mph in 17.7 seconds. 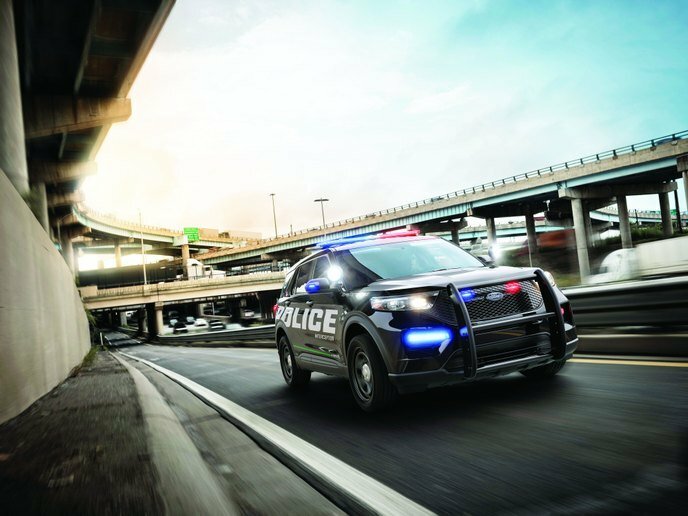 "With hybrids people are used to making some kind of tradeoff; I can be green or I can do this," said Stephen Tyler, Ford Police brand marketing manager. "The most exciting thing about this vehicle is there are no tradeoffs. You don't lose any interior passenger or cargo room. You get greater horsepower, torque, and top speed. In addition, you get significant fuel economy. The days of 'or' are behind us. These are the days of 'and.' "
Fuel savings from the hybrid PI Utility are significant. Ford said the combined highway and city MPG is 24 compared with 17 for the 2018, a 40% increase in mileage. But increased MPG is not the only way the hybrid PI Utility can save agencies on fuel costs. The real fuel expenditure in law enforcement patrol operations is leaving the vehicle running while it's parked at a scene so that it can keep the battery charged to run lights, radios, air conditioning, computers, and other stuff that draws current. The PI Utility hybrid can do that without the engine running. It uses the hybrid batteries and if the charge starts to get low on the batteries it will run the engine just long enough to give them a boost. Ford calculates that the savings over idling a gas engine combined with the MPG increase will save agencies that adopt the PI Utility hybrid $3,500 per vehicle per year. * Factory-installed Police Perimeter Alert, which uses sensors to monitor an approximately 270-degree area around the vehicle. It detects nearby movement to alert officers of any suspicious activity. When such motion is detected, the system automatically turns on the rear camera, sounds a chime, rolls up the windows, and locks the doors. Available driver-assist technology includes Pre-Collision Assist with automatic emergency braking, which features Pedestrian Detection and forward collision warning. 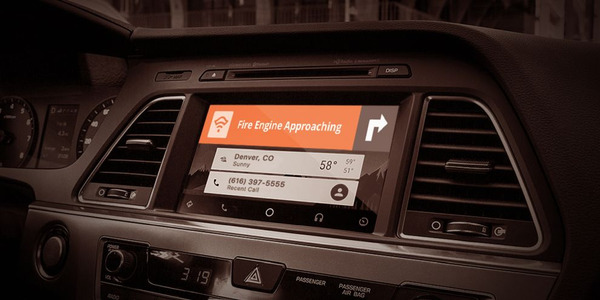 Additional optional equipment includes Rear Camera On-Demand, which allows officers to view behind the vehicle at the touch of a button, and factory-installed and factory-sealed wiring and lighting packages. The 2020 PI Utility is also equipped with a Ford modem and two years of complimentary Ford Telematics service, offering fleet managers timely feedback of vehicle usage and location. The 2020 PI Utility is offered with a standard 3.3L hybrid, plus available 3L EcoBoost and 3.3L V-6 engines. All are powered by a new 10-speed automatic transmission and feature standard full-time Intelligent All-Wheel Drive and deep snow/sand traction control mode. David Griffith is the editor of POLICE Magazine. This article was originally published in POLICE Magazine’s February 2019 issue.